Body sculpting reduces excess fat. At Serrão Rejuvenation Center, Dr. John Serrão, a board certified gynecologist and post-graduate trained cosmetic surgeon, specializing in cosmetic surgery of the female body, offers body sculpting for women in Orlando, Winter Park, and the surrounding areas of Florida. Dr. John Serrão and his staff offer services for “What Women Want.” These include cosmetic surgeries, such as liposuction, vaginal rejuvenation, breast augmentation, buttocks augmentation, natural fat transfer, and tummy tucks to improve the contours of your body. Skin and facial rejuvenation services include a multitude of options such as Botox®, facial fillers, laser treatments, and medical-grade skin care to help reduce the effects of aging and preserve youthful looking skin that is healthy. Options to improve one’s health include gynecology, anti-aging, detoxification programs, bio-identical hormonal therapy, and medical weight loss. A combination of treatments and procedures is sometimes recommended and package pricing is offered. We will assist you with a package that will meet your needs and lifestyle. We invite you to schedule your consultation today so that we may listen to your desires, evaluate your needs, develop a plan of treatment options, and begin the rejuvenation process. 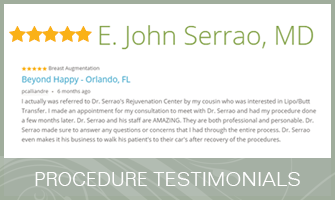 At Serrão Rejuvenation Center, we are committed to providing you with the personalized attention you deserve. Enhancing your natural beauty and well being is our passion. These body contouring procedures are performed to help you look and feel your best. Body sculpting enhances your natural contours. At Serrão Rejuvenation Center, Dr. John Serrão, a board certified gynecologist and post-graduate trained cosmetic surgeon, specializing in cosmetic surgery of the female body, offers body sculpting for residents in Orlando, Winter Park, and the surrounding areas of Florida. 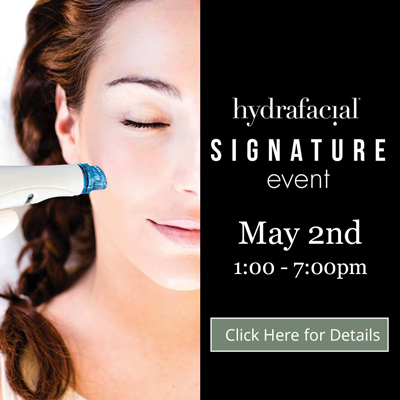 Contact us to schedule a consultation and begin your rejuvenation today. Body sculpting reduces excess fat. At Serrão Rejuvenation Center, Dr. John Serrão, a board certified gynecologist and post-graduate trained cosmetic surgeon, specializing in cosmetic surgery of the female body, offers body sculpting for men and women in Orlando, Winter Park, and the surrounding areas of Florida. Dr. John Serrão and his staff offer services for “What Women and Men Want.” These include cosmetic surgeries, such as liposuction, vaginal rejuvenation, breast augmentation, buttocks augmentation, natural fat transfer, and tummy tucks to improve the contours of your body. Skin and facial rejuvenation services include a multitude of options such as Botox®, facial fillers, laser treatments, and medical-grade skin care to help reduce the effects of aging and preserve youthful looking skin that is healthy. Options to improve one’s health include gynecology, anti-aging, detoxification programs, bio-identical hormonal therapy, and medical weight loss. A combination of treatments and procedures is sometimes recommended and package pricing is offered. We will assist you with a package that will meet your needs and lifestyle. We invite you to schedule your consultation today so that we may listen to your desires, evaluate your needs, develop a plan of treatment options, and begin the rejuvenation process. How Many Treatments Will I Need for Body Contouring? The procedures for body contouring may require a single treatment or a series of treatments depending on the non-surgical method chosen. All surgical options will be done in one setting unless multiple staged procedures are scheduled with your safety and budget in mind. Many of these procedures may be combined with other treatments for optimal results. Where Are the Body Contouring Procedures Performed? Body contouring procedures are performed in our accredited surgical center in Orlando. Our desire is to offer to patients a very comfortable environment where they can have their body contouring procedure performed in a center that has fulfilled the safety requirements and standards of care of one of the most prestigious accreditation associations of the United States, AAAHC. Whether you have a surgical or non-surgical procedure performed, we will truly care for you! What is the Cost of Body Contouring? The cost of any body contouring procedure varies from patient to patient depending on the amount of correction that is needed. All of our fees will be discussed with you during your consultation. You will find our charges to be very fair and competitive for the Orlando area. Several financing options are also available at Serrão Rejuvenation Center and we offer package pricing. We welcome you to call our office for more details on fees and be sure to check our current specials. What is the Downtime for Body Contouring? Some of the non-surgical procedures for body contouring may have minimal downtime, while some of them have no downtime at all. Many of our patients return to work the same day or within 24 hours after their treatment. However, if cosmetic surgery is in your future, then you could have two to six weeks of downtime. How Do You Avoid Unnatural-Looking Body Contouring Results? Creating natural appearing contours of the body requires artistry, good judgment, and excellent technique. Dr. Serrão takes pride in creating natural appearing body sculpting results, and is sought after by patients from around the world for his body contour procedures. The best candidates for body contouring procedures are patients in good health with realistic expectations and who want to improve the appearance of their body with or without major surgery. How Do I Learn More About Body Contouring? Schedule a consultation to learn more about body contouring. The educational consultation is of great importance at Serrão Rejuvenation Center and our patients find it to be very informative. You will meet our caring team and tour our state-of-the art facility and AAAHC-accredited surgical center. Dr. Serrão and his cosmetic nurse, Larissa, are dedicated to answering all of your questions and will make you feel comfortable with their friendly demeanor. After reviewing your medical history, Dr. Serrão will listen to your concerns and expectations, perform a complete assessment, and educate you on the options that you have based on his expert recommendations. Together, you will develop a treatment plan that will fit your lifestyle and budget. You may chose to schedule the procedure at the time of your initial consultation, or you may decide at a later time. The consultation is about 30 minutes to one hour and the applicable fee will be applied towards the procedure or any purchase in our practice. Whatever your decision, it will be our pleasure to assist you in any way that we can.